Finally! The tower and beams are back! 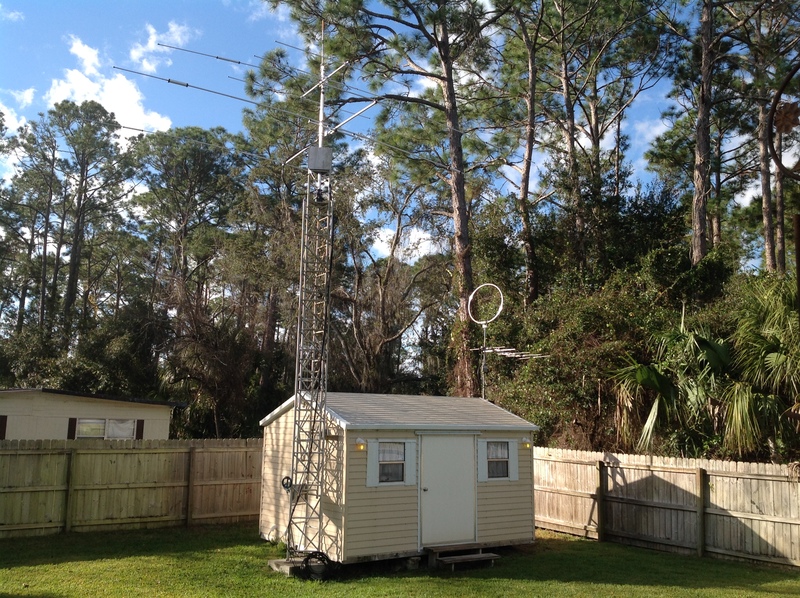 Cushcraft VHF/UHF Vertical (at top); Cushcraft 3 element 6M beam; Mosley 3 element HF 10-15-20M beam. Just have to finish installing lightning protection and remote coax switch. Hoping to get the cabling finished over the next week or so. Special thank to my brothers John & George, nephew John, and son Stephen for providing the “muscle” to drop and raise the beast over the last few months. Looks fantastic. Another big gun back on the air! You do!! And George helped too. Glad to hear from you! Hope all is well!